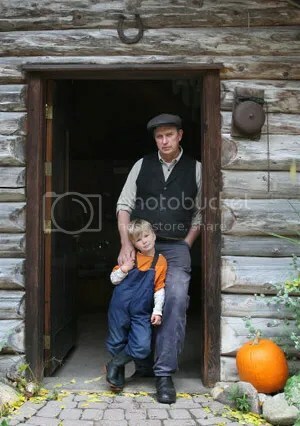 Michael Schmidt and son. Photo via Owen Sound Sun Times. “DURHAM – Canada Food Inspection Agency officers seized electronic devices and stored data from raw milk activist Michael Schmidt’s Glencolton Farms Thursday as part of a federal investigation into the illegal removal of sheep that were under quarantine near Peterborough before they could be euthanized this spring. “DURHAM – Raw milk crusader Michael Schmidt is scheduled to return to a Toronto courtroom Thursday to seek leave to appeal 13 convictions related to the sale and distribution of unpasteurized milk. Schmidt’s lawyer Karen Selick plans to argue that several errors of law were made in the leadup to the Durham-area farmer’s convictions and that granting leave to appeal to the Ontario Court of Appeal is in the public interest. “It’s worth noticing that Grey County farm policy reformer Sean McGivern prefers to talk these days about a “readjustment” in agricultural supply management. Considering the direction from which he has come, the Desboro-based founder of a proposed new general farm organization could be talking instead about scrapping the controversial Canadian system for controlling farm production of some commodities. “Durham-area raw milk producer Michael Schmidt’s case will have a hearing in the Ontario Court of Appeal in April. Lawyer Karen Selick said a hearing has been granted in Toronto on April 25 to ask for leave to appeal on Schmidt’s behalf. She said three hours for arguments have been set aside. She’s doubtful a decision will be granted the same day. “No pandemic, no contaminated drinking water, no catastrophes, yet Grey-Bruce still proved fertile ground for newsworthy health-care stories in 2011. 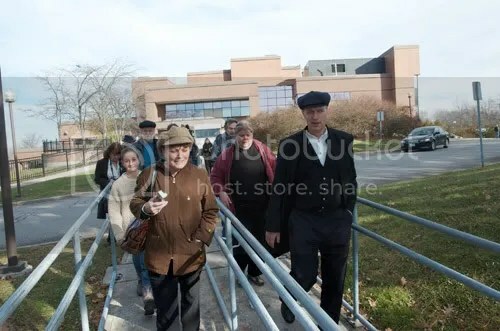 Michael Schmidt and supporters, leaving the Newmarket court after the sentencing last month. “Raw milk crusader Michael Schmidt plans to appeal both his Sept. 28 conviction and subsequent sentence for producing and distributing unpasteurized milk. What’s happening at Queen’s Park while Michael Schmidt continues with his hunger strike for food freedom? 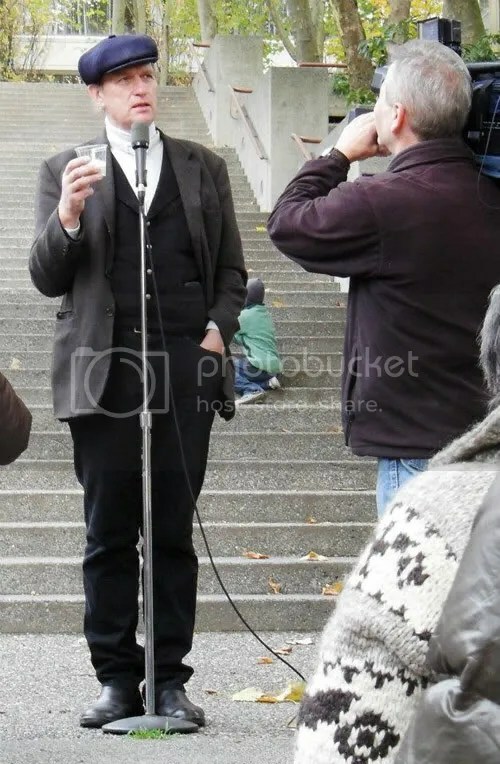 Michael Schmidt speaking today at a rally in Vancouver. “….”I am asking simply for dialogue. I’m not asking for any concessions,” Schmidt said Tuesday in a telephone interview while participating in a rally in Washington, D.C.